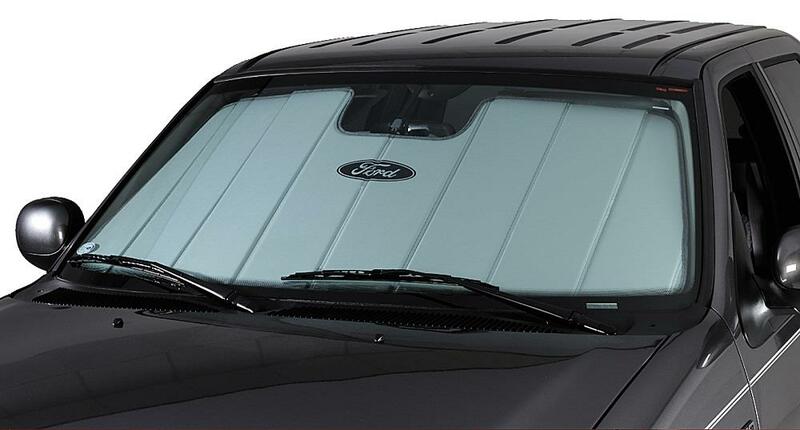 Covercraft Custom Car Windshield Sun Shades with Ford Logo | Protect Your Interior from UV Damage | Car Sun Shades for Sale | California Car Cover Co. 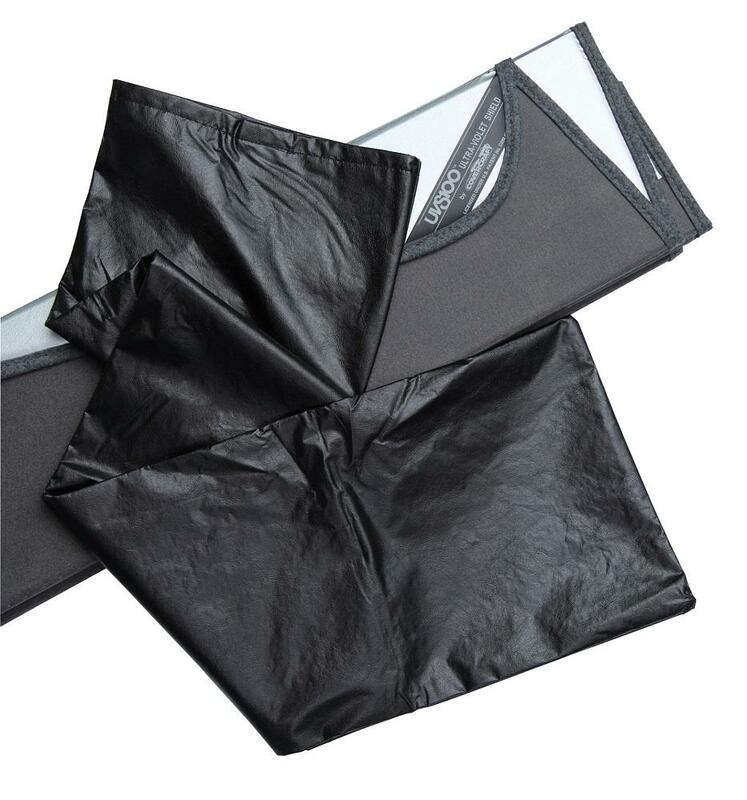 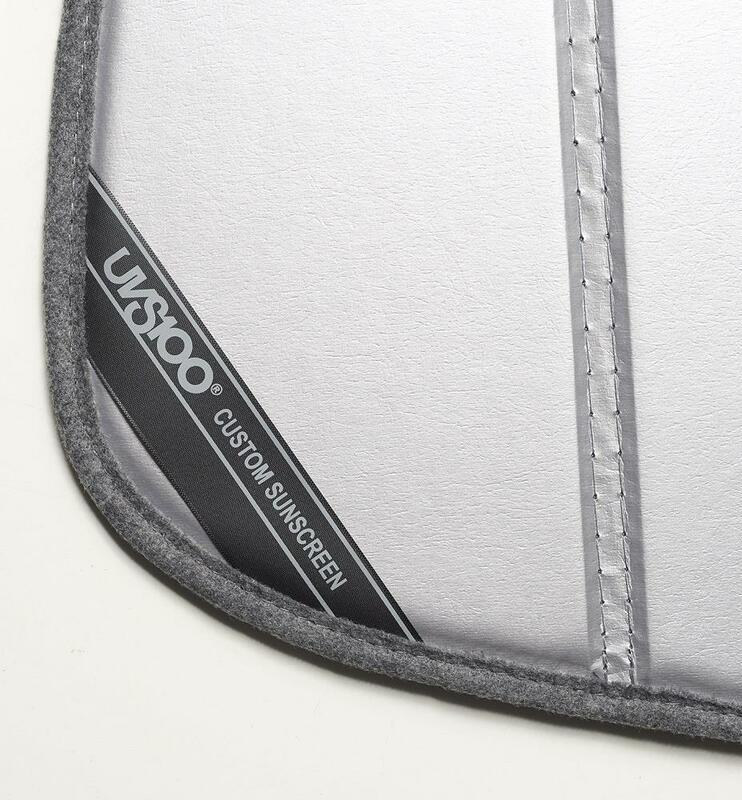 This premium quality, custom patterned folding windshield heat shield has a silver reflective fabric on the outer side, soft felt on the inside. 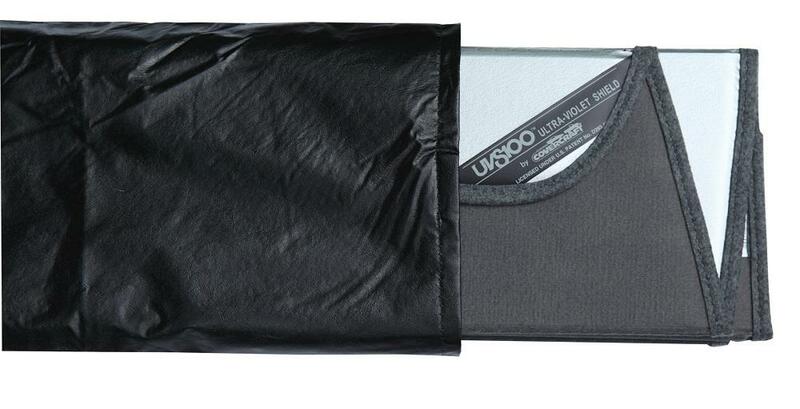 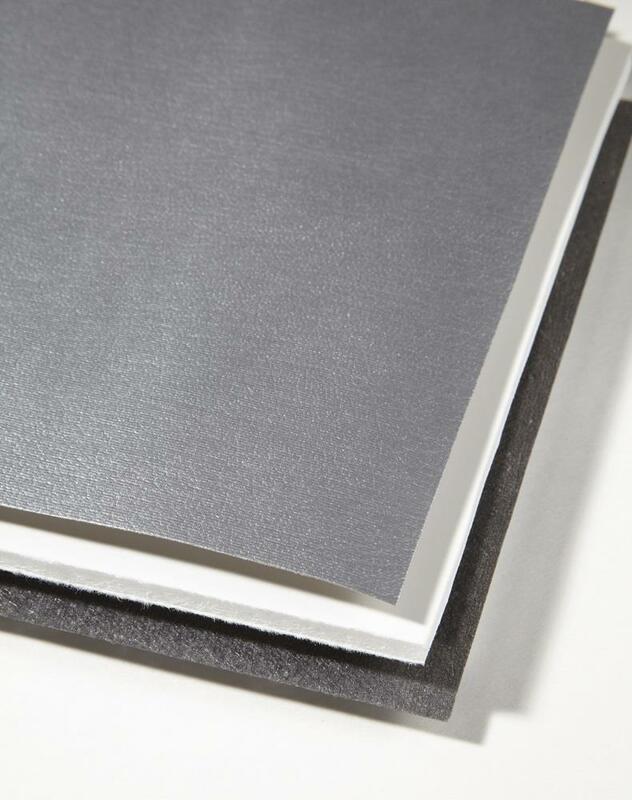 Both fabrics are laminated to a foam core board which acts as an insulator. 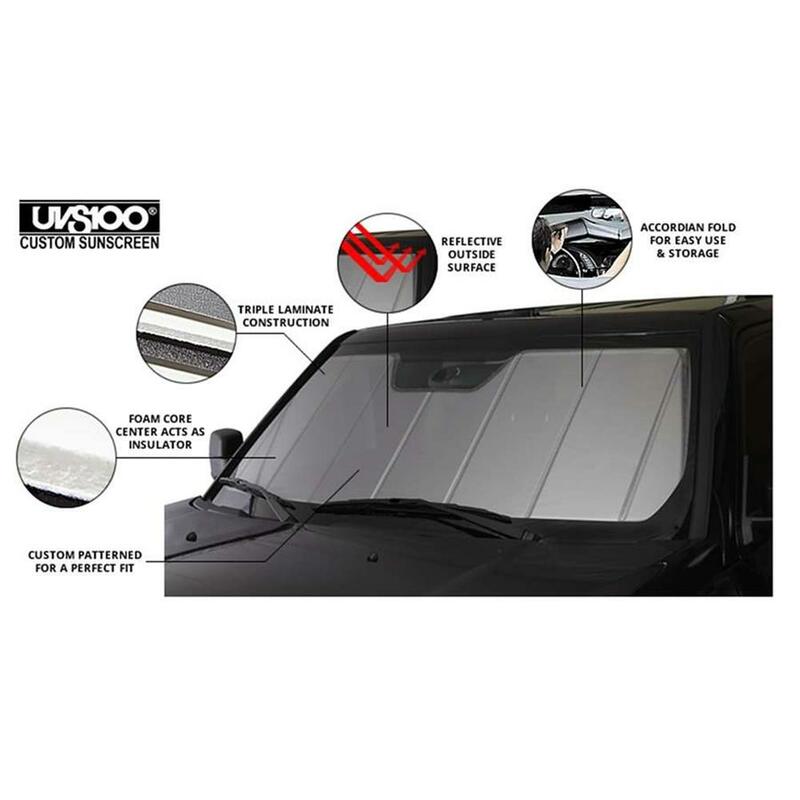 The silver outside-facing fabric helps reflect damaging UV rays that not only heat the inside of your vehicle but also can damage the interior.